They say the 1944 expulsion was an international crime that has no statute of limitation. The Crimean Tatar self-styled government Mejlis has announced plans to initiate criminal proceedings and a trial on the 1944 deportation. "The Mejlis of the Crimean Tatar people and the Crimean Tatar Resource Centre have launched a campaign entitled "Witnesses in the 1944 Case". 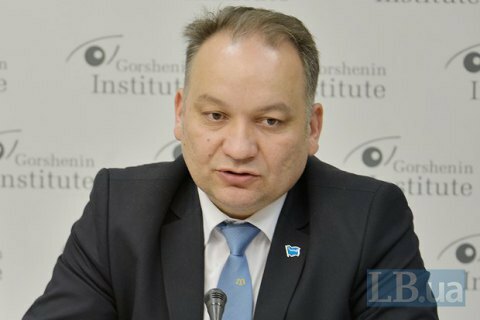 The campaign aims to help the prosecutor's office of Crimea to collect materials that will form the basis for court hearings," Eskender Bariev, a Ukrainian politician and a member of the Crimean Tatar Mejlis, said at th roundtable co-organized by Gorshenin Institute and Free Crimea NGO. According to the Mejlis, three categories of Crimean Tatars will pose as victims in this trial. "Firstly, immediately those who have been deported. Those are elderly people aged 77 and older. Another category embraces the people who have been born during the 'special settlement' period from 1944 to 1956, and those born outside their homeland. The third category is about the so-called re-deportation. These are the people who in the '70s and '80s would try to return to their homes, tried to buy houses, but were not allowed to do so. They were forced into trucks and then dumped out in the steppes of Kherson or Krasnodar region," he said. The Kyiv-based Prosecutor's Office of Crimea has already confirmed that the claimants questioned by the Mejlis may become subjects in criminal proceedings. Bariev stressed that the deportation was an international crime that has no statute of limitation. "Not that we want blood or revenge. We want the generations to come to realize that sooner or later everyone must answer for their crimes," he said.